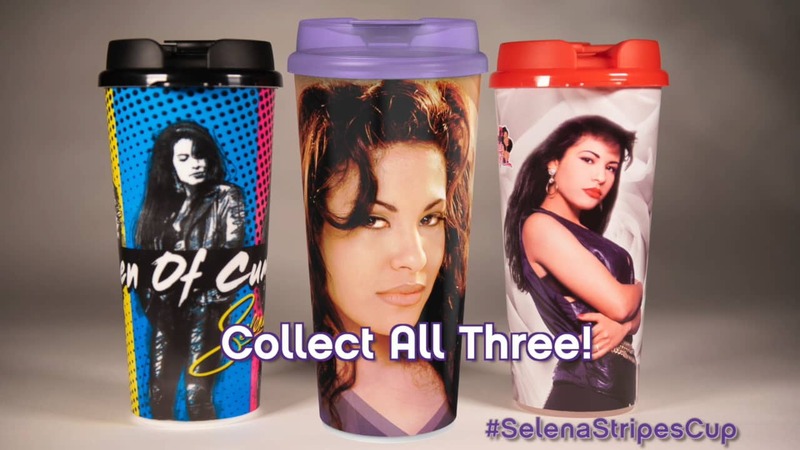 SAN ANGELO, TX -- Stripes convenience stores will be releasing the final Selena commemorative cup on Saturday. This is the third and final cup in the collection that has been sold for the majority of 2019. Company officials worked with Selena’s sister, Suzette Quintanilla, to create the three designs for the 2019 collection featuring the music legend. Selena Forever features a close-up photo of the international music star with the words “Selena Forever” in purple that matches the cup’s lid. This year’s cups hold either hot or cold beverages and are double wall-insulated, dishwasher safe, and BPA free. The stores will be releasing the cups at 10 a.m. but since these are a limited edition cups Stripes recommends customers show up closer to 8 a.m.